It is replaced by the Symbol LS 9208. 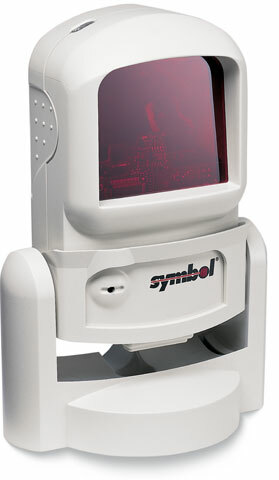 The LS 9100 is an omnidirectional scanner able to increase efficiency at any point of sale station. Smudged or damaged barcodes are read on the first pass just as quickly as new ones, making the LS 9100 excellent for groceries, hardware stores and anywhere labels get torn or damaged. The LS 9100's small size makes it a great fit for any compact environment. Each model comes with a user's manual. LS 9100, RS-232 kit: Scanner, 110 volt AC adapter, RS-232 cable (DB-9 female TxD on 2) & ergonomic stand. LS 9100, PS/2 kit: Scanner, 110 volt AC adapter, PS/2 Y-cables & hand-holdable stand. LS 9100 is your key to improved productivity at the point of sale. This versatile scanner can read all barcodes, even those that are poorly printed or damaged. It takes up very little valuable counter space thanks to its small footprint, and operators find the LS 9100 a dream to work with since it?s so easy to use. Its flexibility and reliability make it a smart investment that can meet your current and future POS scanning requirements. Hands-free operation combined with a large scan pattern make the LS 9100 extremely user-friendly. A quick pass and this omni-directional scanner reads barcodes on the first try?even truncated or poorly printed symbols. The LS 9100 provides variable mounting options for unmatched POS adaptability. This means you can easily customize the scanner to meet your store's specific configuration requirements. Plus, the LS 9100 quickly converts to a hand-held scanner for those bulky items that are hard to bring to a fixed scanner. Users find the LS 9100 comfortable, easy to use and highly accurate?all of which add up to speedy checkouts and increased customer satisfaction. The LS 9100 ?s high-performance features include the EAS checkpoint deactivation option that saves precious POS space by co-locating the deactivation antenna with the scanner. Its flash memory is electronically erasable so future software upgrades can be easily downloaded on site with a standard personal computer. In addition, the optional power cable saves space and frees up electrical outlets by using your host computer (including Siemens- Nixdorf, Beetle Register, IBM 486X and 469X, among others) as the power source. This eliminates the need for a separate power supply.